Recently I came across this video titled "A low block is not used to block a kick, that's ridiculous". I couldn't disagree more, and I'll explain why. A video titled "A low block is not used to block a kick, that's ridiculous"
I'll start with a fundamental observation that I have used low "blocks" successfully against kicks for more than 30 years. And yes, I mean full-force kicks that are in striking range (more on range in just a moment). Bear in mind that when I refer to "blocks" I principally mean deflections or parries, not "blocks" per se. As I've often said (see my article "Why blocks DO work"), I only use the term "block" out of habit. It is a bad translation of the Japanese term "uke" (which comes from the verb "ukeru" - to receive). "Blocks" in kata can indeed be literal "stops". But more often than not, they intercept and deflect attacks rather than use "force against force". This is because the former is generally more efficient and effective in achieving its objective; a deflection requires less physical strength, speed and conditioning to perform, is safer to the user and reduces the openings created during the deflection. None of my "low blocks" have been done in the manner suggested by the presenter: that would indeed guarantee a smashed arm as well as a belly/faceful of kick. I hold it to be self-evident that the presenter's examples are not in any way, shape or form indicative of the "problems inherent with low blocks against kicks". Rather, they set up a straw man; the examples are so poor that they guarantee the conclusion to which the presenter has come. "If you throw a full-force kick of any sort at me and I do a low block, you're gonna kick right clean through my arm and bust my leg all to pieces and put me down." The underlining constitutes my emphasis but I have put it there to highlight the principal flawed premise. Yes, if you tried to block a roundhouse kick with the shin by using your forearm to literally stop the shin, you'd have to have your head examined - if there were anything left to examine... Your forearm would be smashed and the kick would indeed "kick right clean through" and "put you down". But whoever said that this was a typical example of a "low block against a kick"? Low "blocks" using the forearm were, in my view, never intended as "hard blocks". Because of the size and weakness of the forearm relative to the leg, it is even more imperative than usual for such "blocks" to be "soft" - ie. to deflect the oncoming force, not stop it in its tracks. This means intercepting the kick early at its weakest, slowest point and using a circle to redirect it. I'm sorry to say, but the proverbial "Blind Freddy" should be able to see that; I don't know anyone who ever thought otherwise. 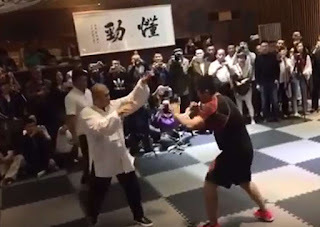 If the presenter had, at some previous stage of his training, labored under the misimpression that it was possible to (literally) "block" a powerful roundhouse kick using forearm to shin contact, I'm not surprised that he reached the erroneous conclusions that he has reached. There are many, many more kicks than just the roundhouse with the shin and the approach for deflecting each of them can be profoundly different. Against which of these is the "low block" as demonstrated by the presenter mainly good for? Answer: the simple front kick. 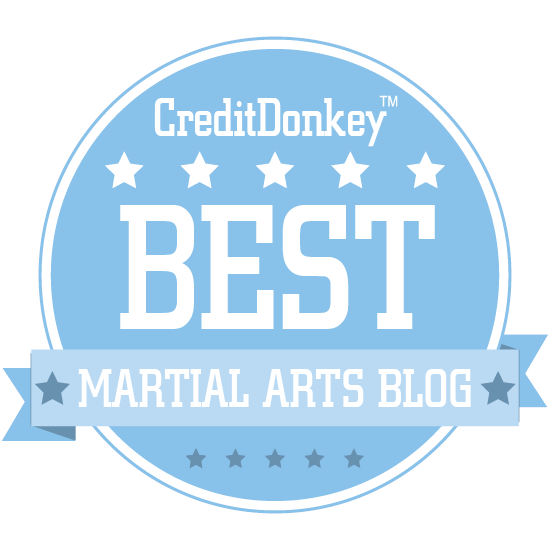 In my most recent article "Enter the front snap kick" I discuss the inherent usefulness of the front snap kick as a weapon of civilian defence. I believe it to be so useful and effective that, once it is understood and mastered to a sufficient standard, it changes the nature of a conflict profoundly. For one thing, you realize that you are not "safe" standing at a particular range (ie. the range most people stand when "circling" each other in a sports fight). For another, you know just what to do if your opponent continues to occupy this range. These points were amply illustrated in the three fights to which I refer in my recent article; in each case the fighter who was knocked out didn't have a clue he was about to cop a seriously dangerous kick. In each case the fighter just stood there like a stunned mullet. Now its true that each of these examples comprised a front kick to the face, so the low block would have been ineffective anyway. However, as I note in my recent article, high kicks aren't the preference of civilian defence arts. Rather, low kicks (below the navel) are arguably the safest (and most effective) in this context. And it is against such kicks that low blocks (either gedan uke or gedan barai) come into their own, as I argue in the video below. "But no one does front kicks anyway!" 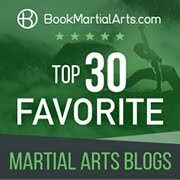 I've often encountered the argument that "most ordinary folks don't know how to do front kicks, so why would kata bother teaching defences against them?" First, I find it self-evident that the front kick is an exceptionally useful technique which, as I've noted above, has the potential to fundamentally alter the dynamics of melee range exchanges. Having become aware of this powerful weapon, it would have been highly remiss of kata designers to ignore defences against it - particularly when they saw its potential effect on fight dynamics. If you know how to do a front kick but can't answer one, then you have only learned half the lesson of front kicks. And woe betide you if your attacker has learned one or both of those lessons. In modern terms, in order to practice front kicks with safety (especially in sparring) you simply must learn to defend against them - otherwise you will be walking into front kicks all the time. We're not talking rocket science here. If you're going down the road of learning front kicks, the expression "in for a penny, in for a pound" really does apply. There's simply no use learning half the formula. In fact, it is arguably impossible to do so (at least properly) if you intend to apply it in sparring (and not just against stationary targets like kick shields). Second, the front kick is really one of the hardest attacks to defend against. I really can't think of a harder one. If you can deal with a full power front snap kick in the melee range, I think you probably have the timing and skill to deal with practically any other striking attack. In short, there are very good reasons to learn defences against front kicks - both to facilitate your own defences and your own kicking attacks. But we digress: there are many other kicks. And the low block, while ideally designed for the front kick, is by no means ineffective against other kicks, including the side kick or even, as I'll note at the end of the article, the dreaded roundhouse shin kick favoured in Muay Thai (and as ineptly demonstrated in the opening video). More on that in a moment. Let's get back to the essential "support cast" for the low block. You'll notice that body evasion (tenshin) is an essential part of effective low deflections: You can't just stand there and hope to deflect something as powerful as a kick using a skinny little forearm (well, that's what mine are like anyway!). You've got to move the hell out of the way. This body evasion puts you less in the firing line. To the extent that you remain in the firing line, your task in deflecting the kick is reduced. The maths and physics are simple: if you have to shift an attack one foot to the side in order to avoid being hit, then if you move your body half a foot to the side, your block only needs to work half as hard. Implicit in all of this is that you're not opposing the kick "head on". Mostly you're not trying to "stop" it. You're catching it from the side and redirecting it. It is this approach that enables a (relatively) light, weak forearm to shift a much heavier, stronger leg that is coming at you at speed. "gyaku kaiten" or reverse/negative turn. The presenter of the video at the start of this article demonstrates the forward turn (jun kaiten). This is commonly the first hip use studied in karate because it occurs in the various "beginner" forms, ie. kihon, takiyoku, pinan/heian etc. It also occurs in higher kata, but that is beside the point. The salient point I'm making here is that it is the principal, if not only, hip method to augment low "blocks" used in the various basic kata. And herein lies the problem: those who lack depth of knowledge in relation to deflections (low or high) never really get to grips with how forward/positive hip turns ("jun kaiten") can make a low block effective. Why? Because it is inherently much harder to understand than the (less frequently seen) reverse/negative hip turns ("gyaku kaiten"). Furthermore, they get so caught up with the more obvious jun kaiten that they fail to see that various kata (eg. naihanchi/tekki) were designed with gyaku (not jun) kaiten in mind. Again, see my video above and note at around 0:43 how, once you've committed yourself to a horse (as opposed to forward) stance, naihanchi downward blocks necessarily coincide with gyaku kaiten. And note that it is irrelevant whether you are using a kiba/naihanchi dachi or a shiko dachi (as per gekisai kata) because the principle remains the same: your hips are "opening out" in a reverse motion - ie. they are turning away from the attack, not turning into it. I think gyaku kaiten is more easily understood precisely because of this fact; I for one can relate to the idea of "turning away" from a powerful attack such as a front kick. But this does not invalidate the use of jun kaiten - it merely makes it less intuitive for beginners to grasp. Our 2 person version of fukyugata ichi. Note the stepping (forwards 45 degrees) and the modification of the jun kaiten to make the low blocks more effective for beginners. "But you can't do low blocks because you drop your guard!" One of the most common arguments I hear to support the "impossibility" of applying low "blocks" against kicks is that they expose you to danger because you are forced to drop your guard. Rather, they argue, use your legs to deflect legs and your arms to deflect arms. Indeed I have some time for this approach: it borrows from an old shaolin maxim. I demonstrate such methodology in my first video at the start of this article (see at around 1:50 onwards). But not every kick can or should be dealt with using legs. Rather, in the vast majority of cases, I've found that you just don't have the time. Why? The arms are what you naturally "flinch" with - not your legs. Moreover, you arms are quicker to get into position - both because they are smaller and lighter and because they have far more neurons dedicated to their control. This latter factor makes your arms more dexterous and sensitive, allowing greater fine motor skill. When it comes to "last minute" movements, you just can't beat the arms. 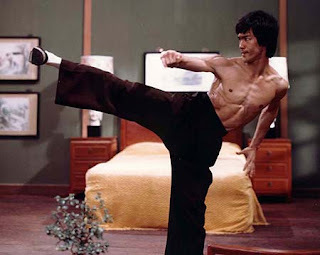 The examples I offer of using legs to deflect legs are a case in point: the low roundhouse kick using the shin is the most telegraphed of all kicks, giving you enough time to summon your own legs into action against it. Even there, the ashibo kake uke (shin hooking block block) as demonstrated against the roundhouse shin kick is not something I've effected in sparring all that often; I've almost as often headed off those kicks by closing the gap and jamming the attacker's thigh with my hand. Which dovetails neatly into the point about range that I alluded to at the start of the article. Let's examine the demonstration where the presenter blocks a roundhouse shin kick with his forearm. One thing should be immediately obvious: the kicker was clearly out of range and his kick would have missed. As you can see from the adjacent enlargement, the toes would have barely scraped the thigh of the presenter. What does this mean? Well first, I see it as indicative of a common malaise in modern karate practice: in most kihon and ippon kumite (basic standing or one-step applications), the attacker and defender stand completely out of range. This is the single biggest reason that forearm blocks aren't being applied today. They were designed to be used at a range where they intercept the attack - ie. in a range where the attack could actually land. I discuss this in my article "Why block with the forearm (rather than the palm)?". This is part of the bigger issues of "tag" competition, faux boxing and a failure to learn to fight in the melee range. Second it means that if the kick had been in range, the presenter would never have been confronted with the forearm vs. shin conundrum. Rather, his forearm would have connected more or less on the attacker's knee. A small shift forward would guarantee the block contacting with the relatively slow, soft and meaty thigh just above the knee. And that, ladies and gentlemen, is not at all ineffective. As straight "blocks" go, this one actually does work. So the presenter's entire premises are built on the most flawed foundations. It's no wonder that his conclusions and mine don't match. So what of the perennial "problem" of dropping your guard? Well here's the thing: every time you throw any kind of technique, defensive or offensive, you create an opening. Learning when you can do so safely has a name: it's called timing. Just because you might not have the timing to use your arms against kicks doesn't mean that others are in the same pickle. I can't profess to any mastery of timing, but I've never found it all that problematic when it comes to blocking kicks. I note in passing that each of the kicks posted in my article "Enter the front snap kick" featured a technical "no-no"; in each case the kicker dropped his guard. Did it affect the outcome? Of course not! Had the kick been evaded/blocked would it have affected the outcome? I really doubt it; the distancing and timing were such as to negate any possible exploitation of the "opening" caused by the dropping of the guard. So it is with blocks against kicks. You can drop your guard stupidly, or you can do so with relative safety. The presenter of the video at the start is honest and sincere - of that I have no doubt. But his position shows all the hallmarks of dilution of traditional knowledge. And as to his purported explanation of what the low block "really is", I'm afraid I have to disagree again. He demonstrates it as a pull of the head to the side and down. While I can see that this is technically possible, it raises (once again) many issues. First, I am highly skeptical of any application that relies on a series of "softening" techniques that essentially render your opponent into a lifeless, non-resistant dummy. As I argue in my article "String theory: combinations and their effectiveness" your predictive ability decreases exponentially after your first counter. The odds of you correctly ascertaining your opponent's position, never mind his or her response, after your second and third counters is infinitesimally small and gets smaller and smaller the further your "string" or "chain" of counters goes. Second, assuming your opponent were in such a stupor that you could pull his head at that angle and injure his neck vertebra, you'd be executing a highly complex move for no real benefit. Why not hit him again? Why not push/pull him straight down or otherwise trip or unbalance him? And it really is a big "if" to assume that you could effect this "neck throw" as demonstrated. I've tried to manhandle many a head in grappling - your opponent never comes easily/willingly and his head slips away very fast (even if you take skin off the ears etc.). Furthermore, if your opponent is in such a stupor as to allow you to pull his neck/head at that angle, is that further action really warranted? The law looks very dimly on "unreasonable force" of any kind. Last, Occam's razor suggests that the simplest explanation is really the most likely one. Is a complex, ungainly grapple, relying on extensive "softening up" at the end of a string of techniques, really the most likely explanation of the low block? To paraphrase Freud, "sometimes a block is just a block". I think it is possible to use gedan uke and gedan barai for uses other than blocks/deflections. But then again, it is possible to use scissors to cut a steak. It doesn't mean that the scissors were designed for this purpose. And you don't get any mileage out of an argument that says: "I tried to cut a piece of wood with these scissors. That didn't work, so the scissors must have been designed as a steak knife." Dan, i'm not sure that moronic video even deserved such a great and graceful response as this. I did kenpo for a little while a few years ago. After practicing there and looking at many kenpo videos online, frquenting forums and websites, etc. I have found that this sort of ignorance and disdain for traditional martial arts is prevalent in the general kenpo community. They are a prideful bunch--and while some can fight well, I do not think that pride is warranted. Their "sets" are truly ridiculous and contrived, and yes, the partners do just stand there. And at my school they hit you hard a lot and you didn't even get to block or react. I'll stick with real Karate, thank you very much! You may already be aware of this, but if you are not and it is helpful, you can have your embedded youtube clips start at a specified time by adding a time variable to the end of your embedded link. You know Joshua, pridefulness is a problem in all styles, so I don't mean to single out kenpo or any other style or school. I didn't even realize the presenter did kenpo since he demonstrates kata in a shotokan karate-like way. My brother and I have trained with humble and impressive kenpoka like Jeff Speakman and while their approach is not for us, I can see its uses. Rather, I want to argue points like these on their merits, requiring step by step analysis. Given that the presenter's argument is quite common and appears (to the uninitiated) to make some sense, I've done my best to be thorough. Thank you Dingletec! You learn something new every day! I noticed kempo somewhere in the introduction--then his flashing hands gave him away later on when he was talking about directing an opponent with your strikes. Perhaps I've just had bad experience! To be sure not all kenpo guys are bad, and the range of kenpo is very large. My experience is with American Kenpo guys of the Tracy Lineage. They think they're the best for some reason. Also, to be sure, I did learn some great things in kenpo, and I agree, there are many useful things in kenpo! My language was a bit strong because my experiences there left a bad taste in my mouth--my bad! Like any art it depends on how it is trained. Kenpo has long strings of techniques to show possibilities and points of reference whatever position you or your opponent might be. If you understand the self-defense techniques you don't think that you are going to pull off the whole technique at once on someone. Also, I have the feeling that their "kenpo" is just a mishmash of other things since in the beginning of the clip they reference MMA training. In kenpo, they don't use katas like the ones shown in the clip. I have seen this way too often of the MMA/Sport styles. I got into a discussion about blocks in general and how if they were effective for self-defense you would see arts like Muay Thai using them. I then showed him a video clip off of youtube showing Muay Boran, which is the self-defense art that turned into the sport of Muay Thai. You saw the people doing all of the blocks that you see in "traditional" martial arts. Including, the low block against a front kick. 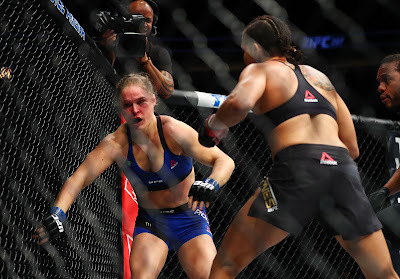 In American Kenpo they too utilize the low block as a deflection against a kick to the stomach. The video shown is one of my pet peeves. Someone shows a defense for a different attack and then says how worthless it is because it won't work. ANYONE should know that the low block is either for a front kick or even a low roundhouse punch to the abdomen. James (Jimmy) W. Woo (a.k.a. Chin Siu Dek was a refugee from the Japanese WWII Imperial era. His master was forced to fight in a death match with a Japanese karate (best out of the brigade) and ended up killing the Japanese fighter, which meant the Japanese, to save face, machine gun executed all of the students and instructors at the village. 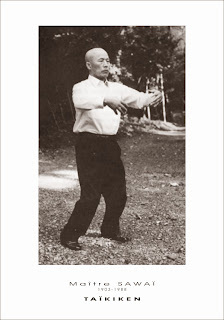 There ended that line of kung fu, with the only descendant or discipline being Woo, after he obtained an American name after immigrating to the States. Or it was kenpo, after it had started adopting internal kung fu methods under Ed Parker. So it could have been either one, but the exact transition was lost. That is because there is no "direct lineage". There's only either 2nd or 3rd order of connection. I found a clip of a kenpo instructor and his movements looked similar. He also seemed to have found the applications to what he was taught. 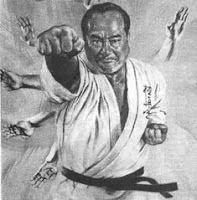 Some people were able to back engineer their kenpo to what Ed Parker studied from Chinese internal kung fu or just Chinese kung fu. Most were not, however. That's because it took "real teaching and analysis talent" to be able to look at any style and break it down into its constituent foundation blocks. To see past the speed or strength or flash of a move and then discern its purpose and its full potential. Ed Parker himself, judging by the history, never had this talent of teaching, himself or others. Thus if his students failed, it was because Parker himself was unable to, using his methods, to communicate and teach the next generation. But the third generation had a new chance to figure things out for themselves. 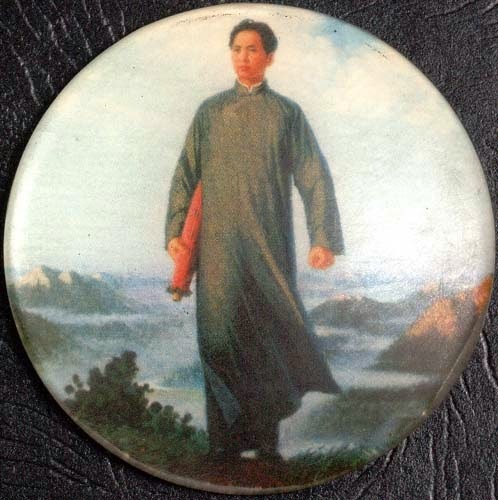 And given the youth of the instructor of kenpo I saw in a youtube video, he was of the 3rd generation:30s-45s. 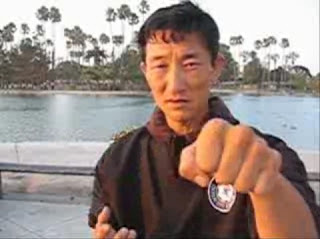 I'm not an expert in external style martial arts, and only a beginner in the principles of the internal styles, so I can't make any judgments concerning kenpo's techniques. I can make a judgment concerning their training methodology and how it mimics or diverges from TFT's. I believe kenpo's "chain attack linking" is a diluted version of TFT's "acquire target, access target, penetrate through target, obtain injury on target, then acquire new target, access new target, penetrate through new target, and acquire injury on new target. There is no "new target" until the injury on the first target has been "acquired". 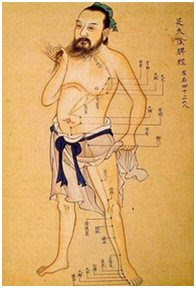 A person unable to cause injury with his strikes due to bad form and application, can never then "recognize" an injury. Because it won't happen for him. And even if he causes an injury, he won't be able to "recognize it". Thus it starts looking like kenpo's speed hitting. Because they don't know how to "recognize" results, they just DISCARDED the whole point and relied 100% on speed. That's because they took out the penetration. That's how they got "speed". Kenpo has some targets, since a lot of human targets like the temple, nose, and throat are what I call "obvious even to blind people". But one can't call it a precision striking art until it has more than 10 separate targets on the human body that can be accessed in a manifold number of ways.